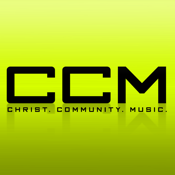 CCM Magazine has been the leading voice in the contemporary Christian music subculture for the last 30 years. CCM is a monthly Christian music magazine that features articles on all your favorite, Christians artists in both mainstream and gospel music. Each issue has news, reviews, interviews, lots of candid and concert pics, links to videos, artist websites and much, much more.